Africa is facing a very serious vulture crisis. 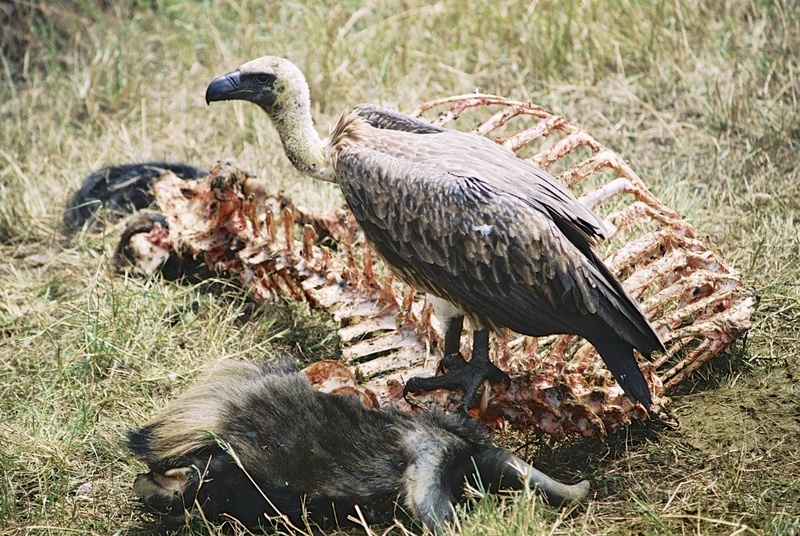 All of the eight species of vultures from the continent are declining at a rapid pace. It could be that vultures are ready to be included in the list of critically endangered species. In an excellent article in Earth Touch, Jason Goldman, explains the reason for their decline and draws attention to the need to protect this emblematic African species. Full article. My parents instilled in me a passion for wildlife and nature. With this video I want to thank them for this very special gift. (narration in Spanish). Doug Allen: BBC “shying away” from big wildlife issues! In an article in The Telegraph published yesterday, Hannah Furness, reports on the declarations made by Doug Allen about the lack of commitment of the BBC to follow important wildlife issues. Link to the article. Last September I went on safari to Mara River in Northern Serengeti. I was lucky enough to see five crossings. Two times I saw crocodiles preying on wildebeests. On the first occassion a wildebeest was swiftly dealt with. On the second (pictured), believe it or not, the wildebeest survived after around 20 minutes of struggle. This was literally a battle between David and Goliath. The nature guiding profession is not an easy one. Taking people on safari is not like being a tourist guide in Paris, Berlin or New York where you know that iconic buildings and monuments will always be there. Going on safari involves an element of surprise and requires a dose of luck. While trying to please clients, safari guides must also keep in mind the need to respect the environment, abide by natural parks’ rules and act with solidarity towards fellow guides. All these are reasons why a Code of Ethics for the nature guiding profession is so important. Interpretives Guides Society just adopted its new Code of Ethics which aims at being a compass for guides and nature enthusiasts when going on safari. As voluntary rules let’s hope this Code of Ethics inspire a new conservation-oriented generation.